As we age we lose certain abilities. Some lose clear eyesight, others become hard of hearing, and most end up with issues with balance. Some are due to aging, but others are due to lifestyle. 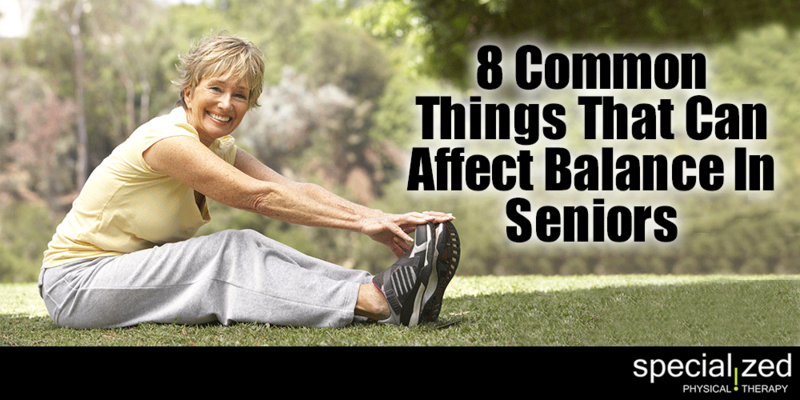 Here are some of the things that affect balance in seniors. Some of these changes come from a lifetime of work and play. Your feet carry you through everything; walking, running, playing. All of these activities can cause problems with your feet. All sorts of things can contribute, weight, activity level and in women past pregnancies and the softening of joints that comes with them. Foot issues are a big cause of balance problems. What kinds of shoes do you wear? High heels as we age are probably not a good idea! Shoes like flip flops are also a problem even for younger people. Do your shoes have proper grip for the places you walk or the weather? Slipping and falling is a big problem with the elderly. This is especially true in the winter months when snow and ice are a problem for everyone. Have you stayed active? Muscle atrophy in the aged is also something that can contribute to balance issues. Core muscles are key in keeping the body upright and moving. Arms and legs are important in balance as well. Did you know that your visual acuity can also contribute to balance issues? Not being able to clearly see things means you could trip over items and hurt yourself. Vision issues can also cause dizziness. As we age it also means that we are probably taking more medications. 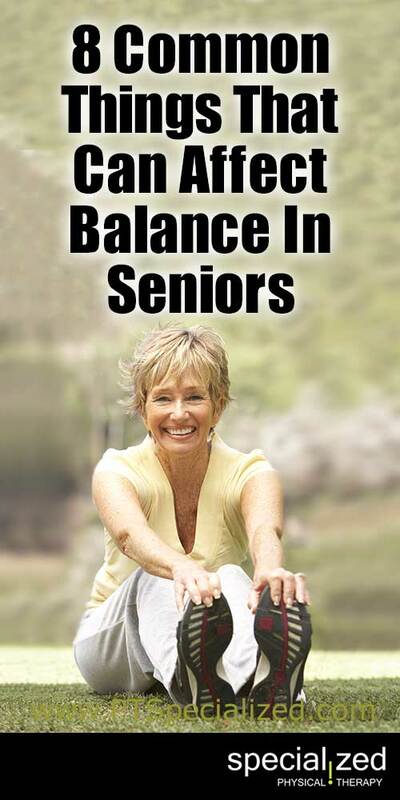 Medications, or combinations of medications, can cause balance issues and dizziness in seniors. If those medications are also due to a past fall, all the more reason why balance would be an issue.